LIQUIDS: You will need a total of about 2 cups of any combination – may substitute other sweet fruit juices available for those listed below. Wash, clean, dice or chop all fruit and nut ingredients (except orange) per above. Grate orange peel for zest, then peel and chop orange sections. 3. 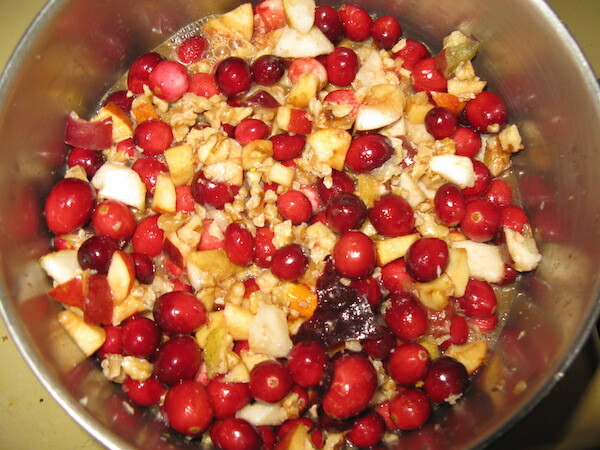 Combine fruits, chopped nuts and zest into large 4 qt. cooking pot. 4. Pour in 2 cups of liquid (mixture of fruit juices and water). Stir. 5. Add cinnamon and pumpkin pie spices. 7. Place pot on the cook-top, on relatively high heat. 8. 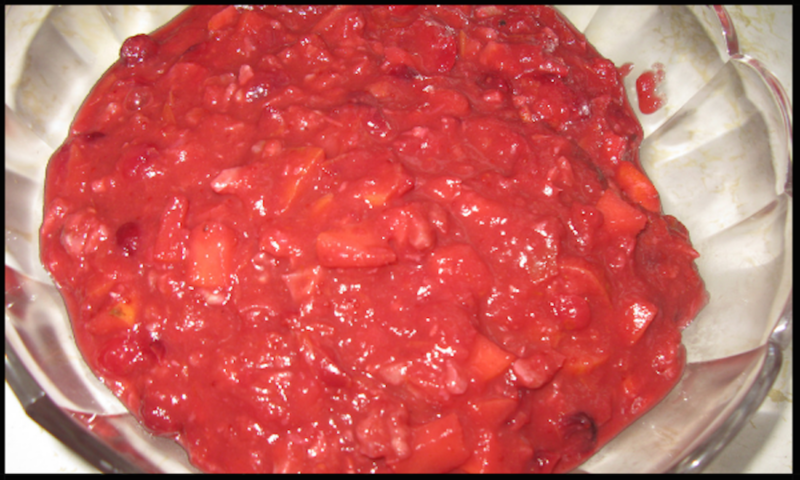 Stir the mixture until it comes to a boil and simmer for 5-10 minutes, stirring as the cranberries “pop” and split. 9. 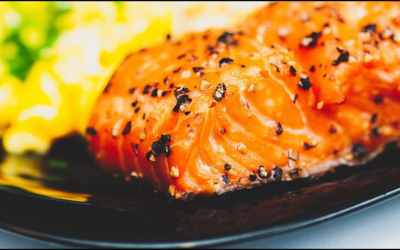 Remove from stove and allow to cool to room temperature. Store in refrigerator until ready to be served.